Classic military looks, mass-produced for maximum budget efficiency. There's no specific model these Watches are copied from…but if you've seen displays of WWII-vintage Watches the general style will seem awfully familiar. 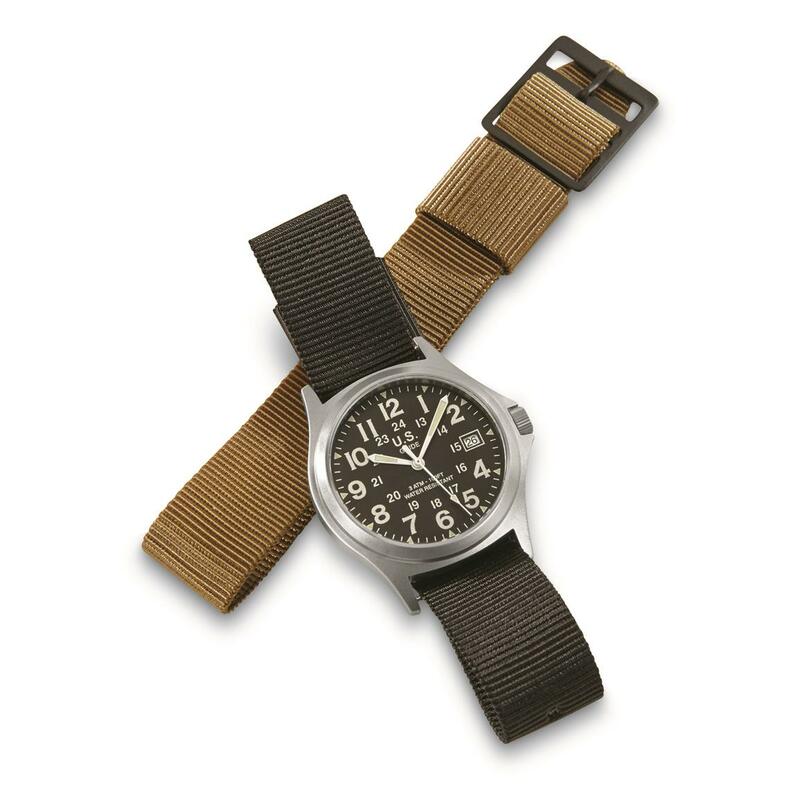 This water-resistant Military-style Army Watch is crafted from corrosion-resistant stainless steel to protect inner workings from water, sweat, humidity, dirt, grease and other rough treatment. We have years of positive feedback on quality, with many customers on their 2nd or 3rd model and still coming back for more. On the lake, in the hunting stand, or around the shop, this Watch keeps on ticking after being knocked around. Military-Style Army Stainless Steel Watch is rated 4.3 out of 5 by 152. Rated 3 out of 5 by cutr from Nice Watch The watch itself was good and what I wanted. The watch bands on the other hand ran small. Rated 5 out of 5 by Flash from Good watch This is my third watch over the years. Their reliable, accurate and are the style I like. The price is right. I do wish the watch band was longer and could buy replacement bands but I don't see them in their catalog. Rated 5 out of 5 by Beth from Great Watch! Great Price!! 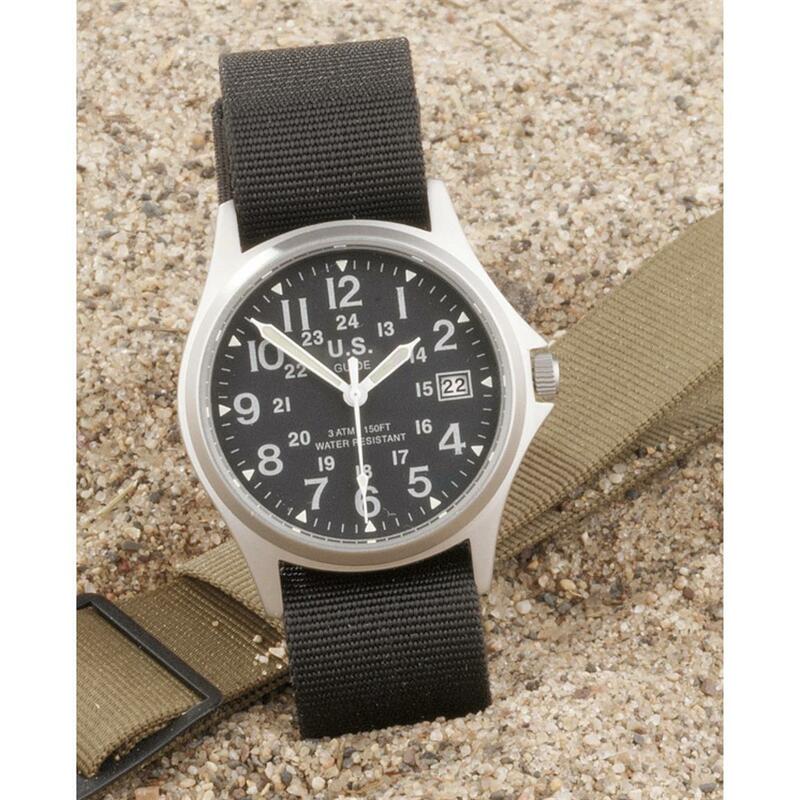 This automatic military field watch is perfect. Durable. Accurate. Great value. Its size is ideal for unisex and/or smaller wristed wearers. ive searched high and low for the vintage Hamilton-style military watch we got back in the ‘70-80’s and was thrilled to find this. Very pleased! Rated 4 out of 5 by michael from multiple purchase I did purchase three watches of this type a long time ago. Crystals broke on two, and movement failed on one of those. Still wearing a third, but that model was no longer manufactured. But, I found these, just like the above, but with a date window! So, I bought two of them. When my present old watch bites the dust, I will have these two to use...all is good! 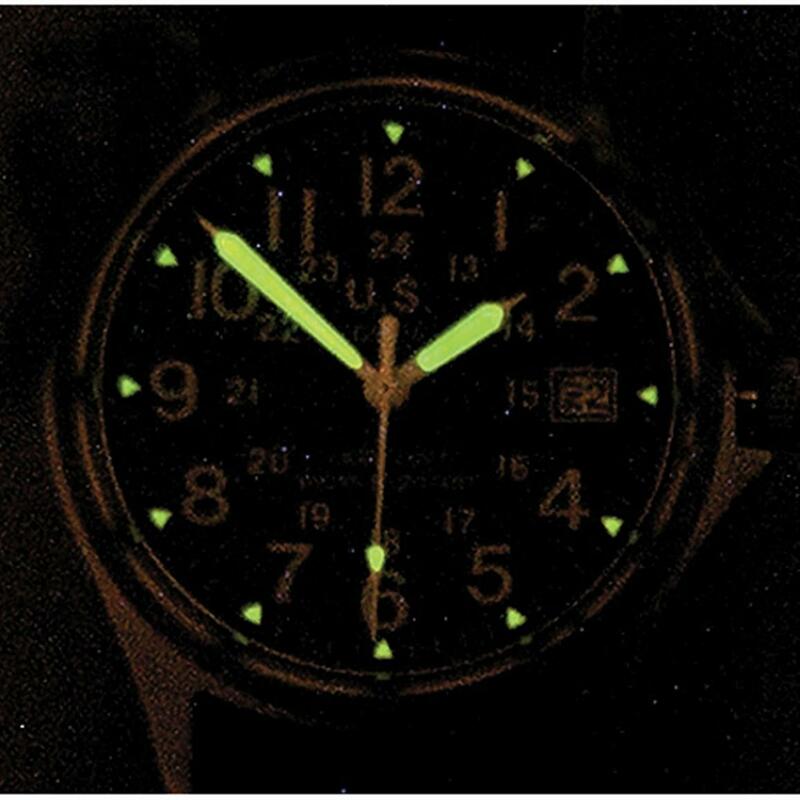 Rated 5 out of 5 by MikieB from Great Watch This is a replacement for the same watch that was ruined in an accident. I purchased the same watch because the first one ran without fail for many, many years. It is also smaller than a cell phone and much handier too. Rated 1 out of 5 by CR 22250 from Totally not what I thought This is not an adult watch. It is tiny, and the ad doesn't reflect that. The face at best is maybe the size of a quarter and the band would not come close to going around my arm; and I'm not a huge guy. I gave it to my granddaughter. If you're older than 12, dont buy this. Rated 5 out of 5 by LWKY from Great watch! I wear this watch every day and they are rugged and dependable. They are military style and I get lots of compliments. They are also waterproof and last for a couple years or more. I hope they never stop selling these. Rated 5 out of 5 by the doc from As always SG comes through, excellent value...exceptional service! 22" x 11.5" x 19"h.; 34.3 lbs. 90° tilt function for easier filling. A watch built for tough conditions. Fix uniforms, attach buttons and more.